The Thai Learning Strand in the Secondary department asked students to set up a Thai Language Project on the topic “Folktales from each region of Thailand” because the topic for Thai National Language Day and Learning in Thai Year 7, section 7 is “Folktales”. In the secondary level the student can advance in their specialized field that they carry from the primary by enhancing them in their Multiple Intelligences (M.I.) class. Our Yr. 3 students had an opportunity to do some interesting activities in their Phonics class. The students learnt to design their own masks in various animal figures. After that they were divided into groups according to the syllables of their animal words. Then videos were recorded as they pronounced the vocabulary while presenting their masks under the theme “Animal Syllables”. The students had great fun and good experience in making their own masks, shooting videos, and learning some tips for memorizing vocabulary. Miniature Molding is an MI activity for Y. 6 students that builds Spatial Intelligence. The mold is a handmade product that enables students to practice using their creativity, knowledge, attention to detail and patience. It may also help them in their future vocations. The Natural Disaster Project was a Semester 1, 2015, activity of the Y. 5 students. It aimed to give students an understanding and reality of how to handle different types of natural disasters. Sample of Teaching – Learning process for English subject by the foreign teacher. Sample of Teaching – Learning process for Math subject by the foreign teacher. Sample of Teaching – Learning process for Phonics subject by the foreign teacher. Sample of Teaching – Learning process for Science subject by the foreign teacher. Sample of Teaching – Learning process for Thai Math subject by the Thai teacher. 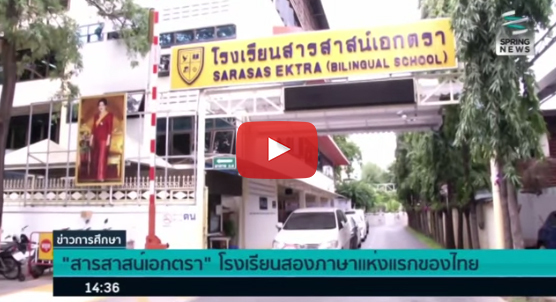 Sample of Teaching – Learning process for Thai Science subject by the Thai teacher. The school invited the speakers who work as a fireman, an engineer and a policeman to give knowledge of their careers both theory and in action one career per day on 15th -17th September 2015. Mathematical knowledge, or numeracy, is important for daily life. Our school supports the principle of teaching kindergarten students how to read, write and count numbers, to develop basic mathematical and numeracy skills from an early age. Each project requires students to search for information on topics that interest them. KG.1-3 students learnt about the Project Approach in their classes. All students in the classroom brainstormed their ideas, what questions they had, and what they would like to learn and experiment on in any topic. All students helped in thinking of key questions and tried to find the important features of each project. ‘The world of Amazing Colours’ was a Nursery activity and show hosted between the 6th-29th of July, 2015. It was based on our Multiple Intelligences (M.I) theory, focusing on knowledge of language and communication, music and rhythm, and nature etc. NC studying and teaching on 29th June – 3rd July 2015 in theme “Ourselves” that had taught in the topic “hands” for students to know the part of their bodies, how they work, and how to take care of them in a correct way.